Every issue, landscape designer Darbi Davis digs deep to bring you stories for your outdoor space. This month: Darbi’s love affair with, um, worms. Several years ago, somewhere between graduate school and child rearing, I decided it was time to venture into the world of composting. Food scraps, yard waste and newspapers were collected in the hopes of producing black gold with the advantage of a lighter garbage can. Two years went by, and there was no sign of anything soft or fluffy in that large, black bin. But it was infested with every species of roach in existence. We quit composting as a result. Over time, the horrible memories faded and our family grew – as did the guilt of watching the garbage fill with food scraps and yard waste. 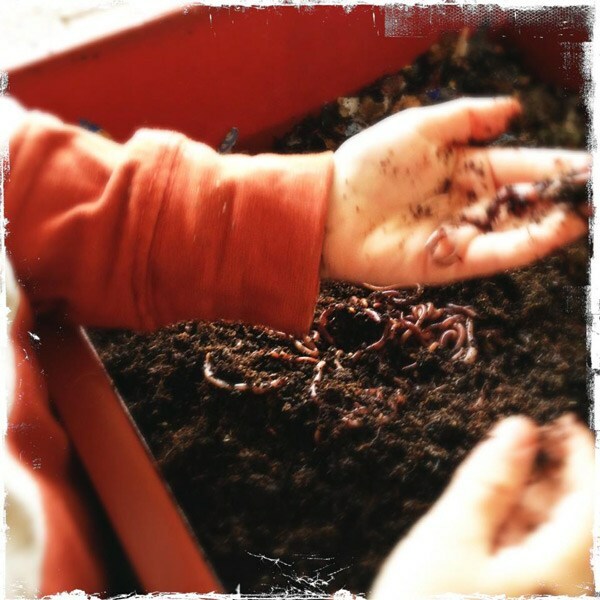 I reconsidered the art of composting and decided to try out a far more fascinating method – worms. For months, I researched the process of worm composting, determined to find a system that was convenient, functional, and of course aesthetic, across all phases of the composting process. I was hoping to start my bin with ‘local’ worms, and discovered the Vermillion Wormery in Oracle, met the most delightful worm coach, Linda Leigh PhD, and began my adventure. Linda is the resident expert on worms and many other topics related to the natural environment (she’s lived in an ecosystem outside of the earth’s atmosphere longer than anyone on earth, in Biosphere 2, and she survived an encounter with a 9 foot charging bear in Alaska). So, of course, I asked her a few questions about vermicomposting. And I love that worm composting is so compact. All you need is a bin (a regular plastic tote will do it ), bedding, and of course the wriggly farmers themselves. * Use the right bin Dr. Leigh recommends using a 10 gallon tote to start because it is light enough to move around even when full of castings, and easily starts with a pound of worms. The worms can be purchased online or at the Vermillion Wormery. One pound is adequate for a two-person household and requires a minimal investment in the event that worms don’t flourish in your household. * Give the worms bedding Worm bedding, consisting of coco coir, composted horse manure or newspaper shreds, is critical in keeping the worms moist so they can breathe and it serves as a habitat for other microorganisms to thrive and process waste before the worms even eat the food. Think of it as a food processing plant! Coco coir is a natural byproduct of harvesting coconut and is a good medium for the novice and smaller indoor bins because it retains moisture well while still allowing for air circulation. * Buy local Purchasing worms online is reliable and okay; however, make sure you get a full pound of worms, not worms plus bedding equaling one pound. Worms can quickly die in high temperatures so many places will not ship during the summer. Locally fed worms from places like the Vermillion Wormery are the best source because they eat local waste. Locally produced compost is as equally important as locally-grown food, for many of the same reasons. * Worms will move to their food. If it’s in a flat bin, they will find it. If it’s in a tower-like bin, they will migrate up to it or over (but worms can’t jump, so the tower bins must be touching), and back down if necessary. They do not like light so if the food is near a light source, they probably won’t get to it. Linda’s information above is critical when starting your own worm composting system. There are also many great books on these delightful subterranean dwellers, such as Worms Eat My Garbage by Mary Appelhof, and my favorite, The Earth Moved: On the Remarkable Achievements of Earthworms by Amy Stewart. For the last year, I can honestly say that these teeny, tiny subterranean farmers have changed our lives. I love that I don’t fear my compost, and that my whole family has an amazing respect for those ridiculously wiggly worms and their underground community. My children are actively involved in their maintenance, and the harvested castings have turned around seemingly sterile soil. They truly have become part of the family. For most of the year they reside on our patio. During the heat of summer, we move them into the hall closet, and on the coldest nights they have been known to join us by the living room fireplace. I kid you not. * Find out more about the Vermillion Wormery here. Visit them every Sunday at the Tucson St. Philip’s Farmer’s Market from 9 am to 1 pm, where they have worm composting systems and worm compost on display. 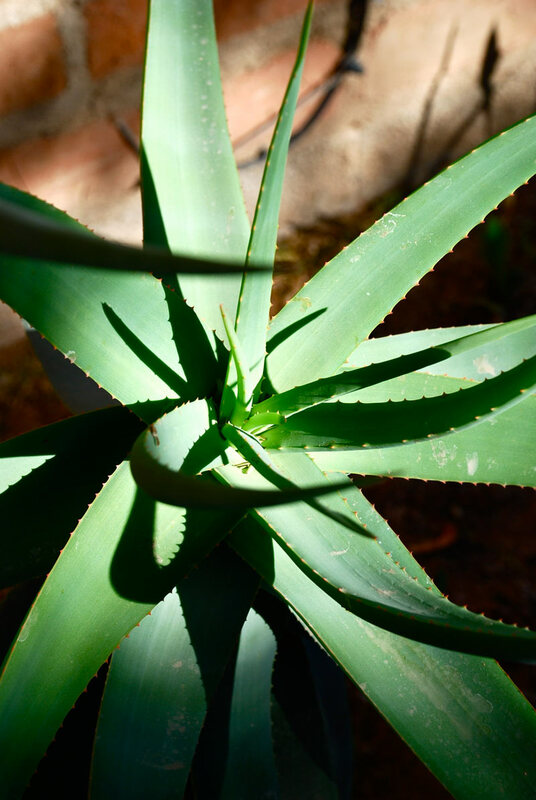 Aloes are lovely succulent plants from Africa that do well in the desert, and come in a variety of sizes and flower colors. Their flowers are gorgeous and should be shooting up any day now if they haven’t already (these guys are active during the winter months and dormant during the summer).